Has it been 2+ months already? So a quick post since it’s been a while, but I hope to get back to blogging in 2014 (really to keep myself in check). So the kid is nice and hefty, growing like a mad man. We had a wonderful visit over Thanksgiving; Jason’s parents got to meet Declan for the first time. It was amazing to see them hold him and love it. It was a surreal experience. 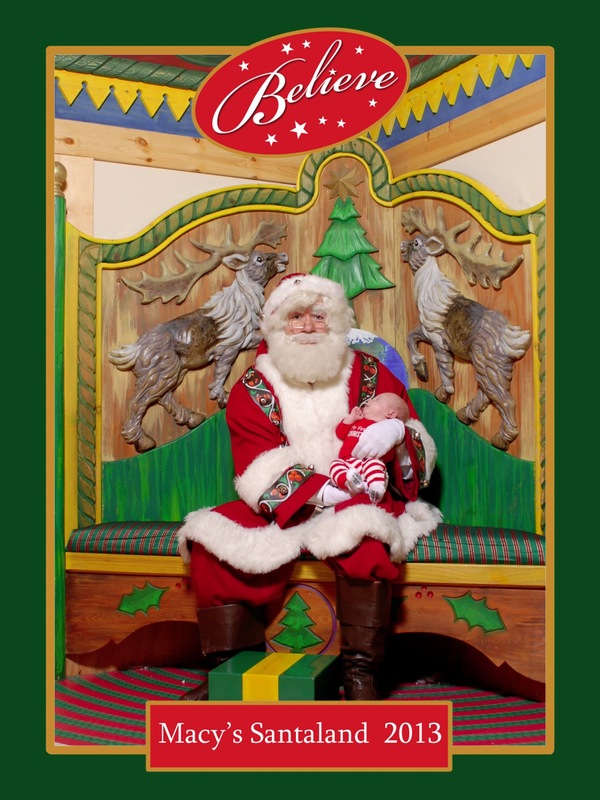 Christmas was super low key, just the three of us, although we did brave the crowds to visit Santa at the flagship Macy’s store in Herald Square. Oddly enough, it was 65 degrees outside in the middle of December. Not sure if I mentioned that I lost my job, because they had to hire someone to replace me, considering I was out 7 weeks earlier than anyone anticipated. However, that person did not work out, and I got my job back, LOL. I will be starting again January 13th. We are in the process of trying to find a sitter for two days a week, which is proving to be a little more difficult than anticipated. Keep your fingers crossed for us. Oh and you know how they say that the weight after you have a baby just melts off it you are breastfeeding? LIARS. All of them. Although I don’t weigh as much as I did when I was pregnant, my body has gone through annoying changes and things aren’t where they used to be. So needless to say, I’m in leggings, maternity and yoga pants for the time being. Jason and I are doing a modified paleo this month, so maybe the weight will start to come off. I just have to really stick with it, as always the hardest part of any diet. 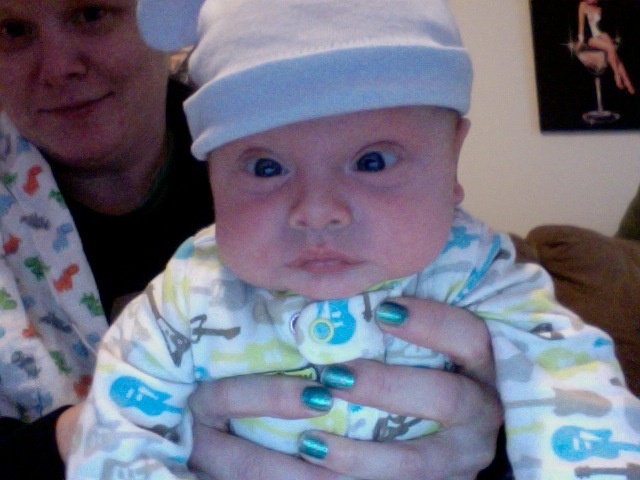 Also, Declan has issues with gas, and rumor has it that dairy could be the culprit. If this helps him stay asleep at night, all the more reason to stay on the diet. I hope to report back soon to keep you updated on how things are going. Brilliant to see that things are going well for you guys. 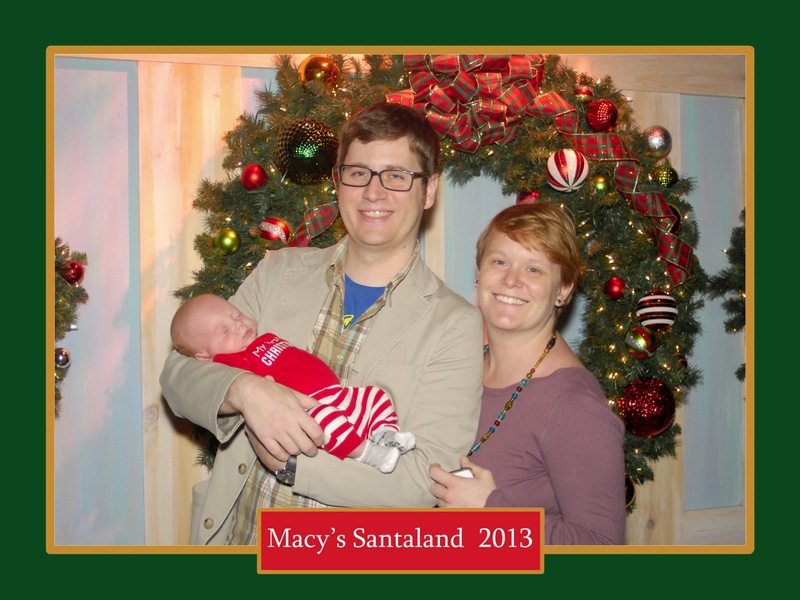 Very jealous of the genuine Macy’s Santaland experience. We got a dodgy English geezer from work, in his 30s and still wearing his specs. None of the kids were fooled. They know Santa is Korean!! !